Microsoft today has announced the availability of the final version of Windows 7 (RTM Build 7600.16385) for Microsoft Connect, MSDN and TechNet Plus subscribers. TechNet Plus and MSDN subscribers can now download and evaluate Windows 7 before the official public consumer launch in October. Also added is the newly updated Windows Software Development Kit (SDK) for Windows 7 RTM. So if you are among those lucky people on earth with either of these two subscriptions then you can now immediately get hold of the final bits for Windows 7 before anyone else (general public) with official product keys from Microsoft. Windows 7 Ultimate RTM Build 7600.16385 – Check out the complete Screenshots Gallery. Windows 7 RTM will be available to Microsoft Partner Program Gold/Certified Members on August 16th, Microsoft Action Pack Subscribers on August 23rd, For Business Customers with access to Volume License Service Center (VLSC) on August 7th and to Retail Customers on October 22nd. 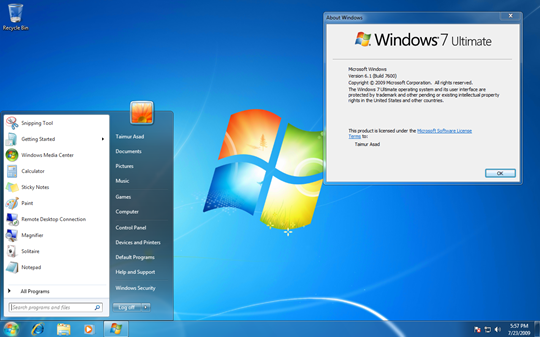 Check out our Windows 7 Center for the complete coverage on the latest client version of Windows. 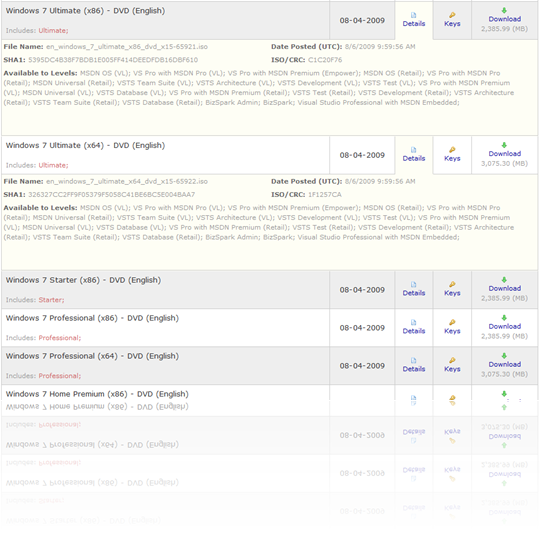 Any torrent links for TechNet RTM ISO ? Pls links via Rapidshare, Megaupload, hotfile, easyshared, 4shared or outher for en_windows_7_ultimate_x86_dvd_x15-65921.iso and en_windows_7_ultimate_x64_dvd_x15-65922.iso or any link by torrents. Pls post links or inform by e-mail.